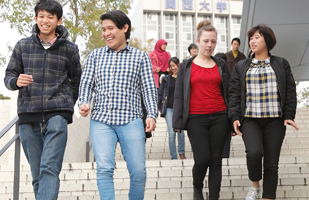 Kansai University offers a diverse range of learning opportunities for international students. 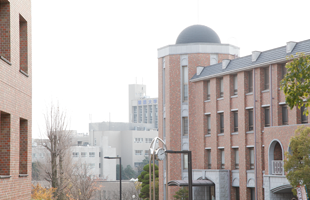 These include attending the university to seek an academic degree, as a foreign research student, on an exchange program with partner universities, and to participate in the Japanese Language and Culture Program Preparatory Course (Bekka) for the purpose of preparing to study at an undergraduate or graduate school in Japan. We also offer courses to study about Japanese language and culture, in addition to our Summer School program for students to study courses in their faculty in the English language in a short period of time. 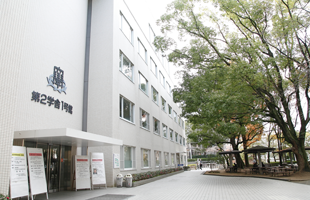 Kansai University is located in the historic and traditional town of Osaka. The university offers 13 departments (Law / Letters / Economics / Business and Commerce / Sociology / Policy Studies / Foreign Language Studies / Health and Well-being / Informatics / Societal Safety Sciences / Engineering Science / Environmental and Urban Engineering / Chemistry, Materials and Bioengineering), 13 research divisions (Law / Letters / Economics / Business and Commerce / Sociology / Informatics / Engineering Science / Foreign Language Education and Research / Psychology / Societal Safety Sciences / East Asian Cultures / Governance / Health and Well-being), and 3 professional graduate schools (School of Law / School of Accountancy / Graduate School of Professional Clinical Psychology). There are approximately 30,000 students attending the above, including many students from outside of Japan. Information on each of the major courses of study can be found on the respective websites, which can be accessed from the URL provided below.